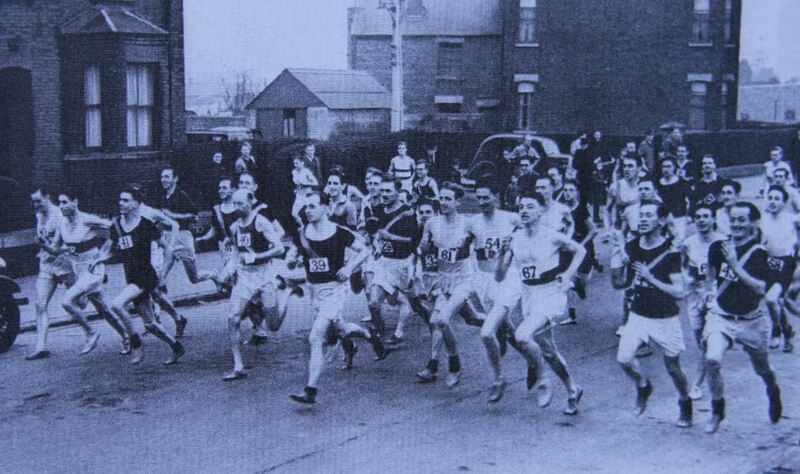 The Clonliffe 2 Mile Road Race is the oldest continuous Road Race in Ireland and one of the oldest in the world. The race commenced in 1891 as a club race, soon to become an Invitational 2 Mile and eventually an Open Road Race. 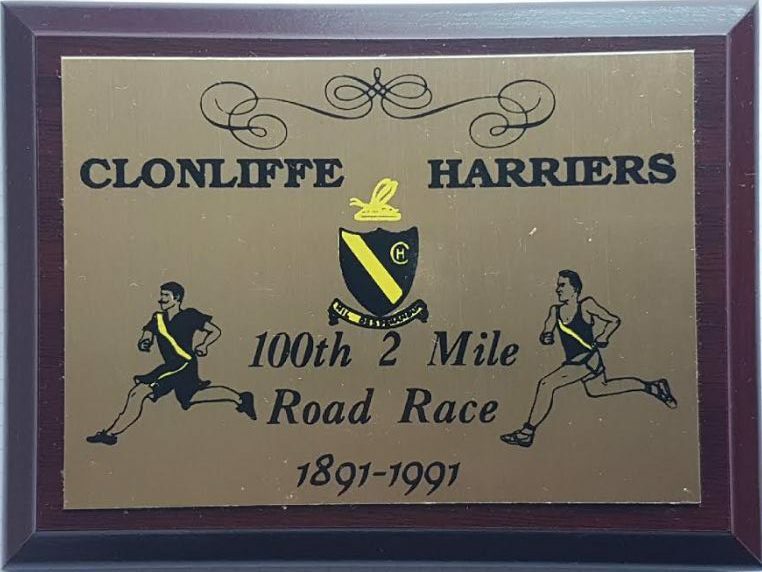 The next running of the race on Thursday April TBC 2020 will be the 129th consecutive annual running of the Clonliffe 2. The event caters for elite athletes as well as fun and social runners with prizes for the fastest men and women, juniors and masters, as well as the ever popular Clonliffe 2 t. shirt for all participants. The Clonliffe 2 is the oldest Club roadrace in the world. Over the years the race has been held at several North Dublin venues, the initial route was at the Halfway House, Ashtown near the Phoenix Park with the runners heading back into the city to the finish at the corner of Charleville Road in Phibsborough which was a distance of 2 miles 297 yards. In 1899 the race went to a course which brought the race distance down to 1.5 miles running from Santry to Millmount Avenue in Drumcondra. 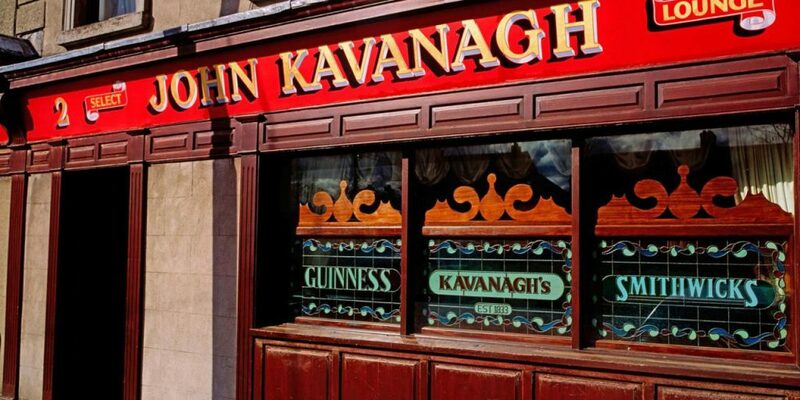 In 1901 the 2 mile distance was established with the race being running along what is now termed the “traditional 2 mile route” which ran from Flood’s Public House in Finglas Village finishing at the 4 o’clock gate at Glasnevin Cemetery, beside “The Gravediggers” licensed premises where the race remained for a long number of years. 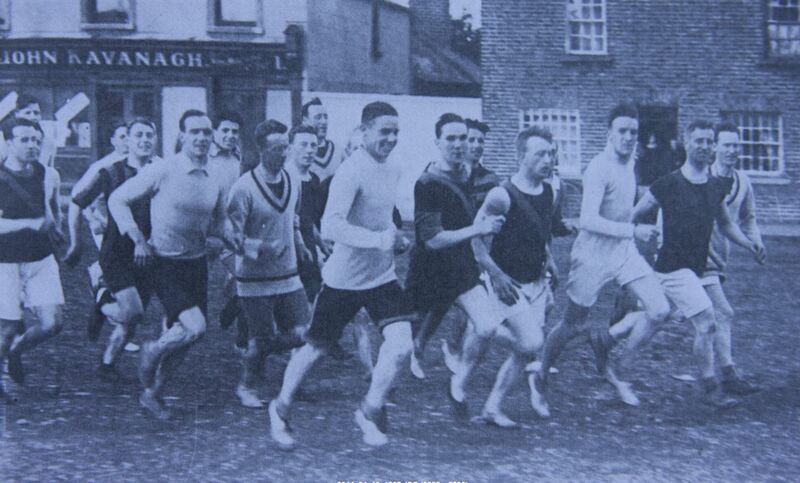 Those early pre first war years were dominated by Frank Ryder who had an unbroken 12 year winning streak from 1908 to 1919 which included the then course record of 8 minutes 34 seconds, that course record remained for 36 years until it was bettered by J. McGuigan who lowered the course record to 8 minutes 24 seconds in 1948, a course record which remains unbroken. The race was then held in Santry, at a course at the back of the Airport in the 1970’s right up to the mid 1980’s when in the Club’s Centenary Year of 1986 the race reverted back, on a one off basis, to the traditional course finishing at “The Gravediggers”. That one off on the traditional route remained for another 25 or so before the race came back to Santry to it’s current course starting and finishing on the track. Famed winners over the years have included, in 1901 Joe Deakin, Clonliffe’s only Olympic Gold Medalist, he was a member of the Great Britain Team that won the 3 Mile Team Race at the London 1908 Olympics; Frank White, a member of Avondale when he won on two occasions, in 1955 and 1957, in 1958 Frank ran in the Albie Thomas 2 Mile World Record Race on the track in Santry (Frank of course subsequently joined Clonliffe Harriers serving the Club with distinction as an athlete and administrator). In the 1960’s the race was dominated by athletes from Donore Harriers, Mick Connolly, Tom O’Riordan, Jim McNamara and Eddie Spillane, who between them won every Clonliffe 2 that particular decade. From the 1970 onwards however the race has been dominated by Clonliffe Harriers, with 18 year old Tom Cregan breaking the Donore strong hold winning the 1970 race in 9 minutes and 9 seconds, other Clonliffe winners including Des McCormack in 1972, European silver medalist Frank Murphy in 1973, 1974 and 1975, sub 4 minute miler Eugene Curran in 1984, Clonliffe Olympians Jerry Kiernan in 1976, Niall Bruton in 1990, National Cross Country Champions Noel Cullen and Sergiu Ciobanu. 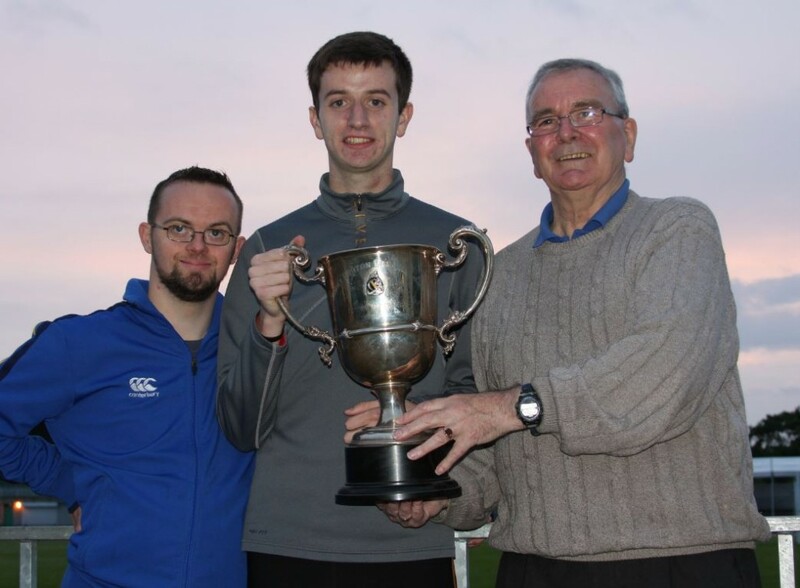 The most recent “home” winner of the Clonliffe 2 was Ian Guiden in 2014. The Clonliffe 2 in 2013 returned to Santry with the race starting on the Morton Stadium track and upon exiting the Stadium heading north turning left into Northwood, heading past the Crowne Plaza Hotel before swing left into Santry Demesne Park, taking in a loop of the park and re entering the stadium at the rear and completing 300m of the track. The race HQ is Clonliffe Harriers Clubhouse, Morton Stadium. The Clonliffe 2 had formally been run on the “traditional” point to point route from underneath the iron pedestrian bridge at Finglas Village heading down the Finglas to Glasnevin Road turning into Prospect Square where the race finished at Kavanaghs ‘The Gravediggers’. 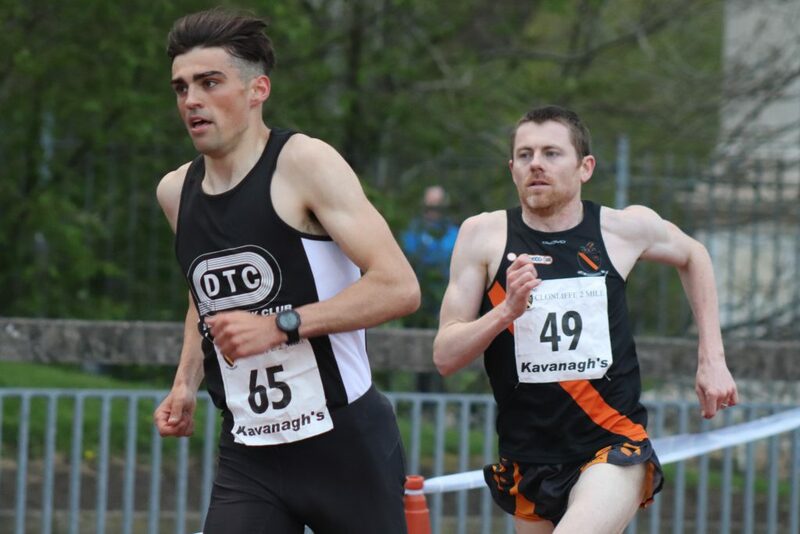 Clonliffe Harriers are indebted to our race sponsor Mr. Eugene Kavanagh (RIP) of ‘The Gravediggers’ and the Kavanagh family who have been sponsoring this race since 1986. The Race Director is Mick Kearney and his contact mobile number is 087 624 3843.